Exporting our services around the world has been key to Lodge Cottrell since the company was founded in 1913. Now over 100 years later it is just as important to remaining a sustainable business. 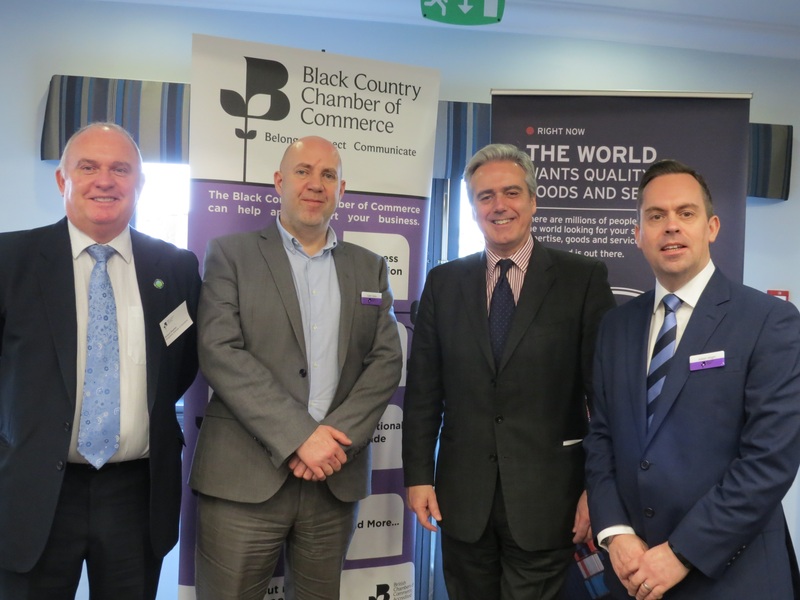 As part of our need to keep abreast of global opportunities Lodge Cottrell attended an event organised by The Black Country Chamber of Commerce on Friday 3rd February 2017. The speaker at this event was Mark Garnier MP – Parliamentary Under Secretary of State at the Department for International Trade – see above second from the left. The theme of Mr Garnier’s talk and Q & A session was all about seeking opportunities for the UK in the wider world, as well as securing the best relationship with the EU after Brexit. Here at Lodge Cottrell we understand that the best way to win work overseas, or here in the UK, is to do what we always have done – offer technically superior products with competitive prices and first class customer service.